During the summer of 1964, after the first season on The Jimmy Dean Show, Rowlf appeared with the country music star in his month-long Las Vegas night club act. To promote the appearance, Dean and Rowlf did a special bit in an earlier show in Texas. 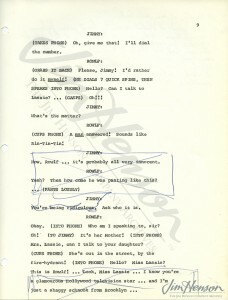 After bantering about the virtues and temptations of Vegas (Dean asks if it is roulette that is tiring Rowlf out, and Rowlf explains, “No, Suzette!”), Dean asks if Lassie would be coming over from Hollywood to catch Rowlf’s act. Rowlf then proceeds to place a phone call the canine star. After much back and forth, it appears Lassie was making plans to come. That was enough for Rowlf, who then joined Dean in a duet of “Song and Dance Man.” Lassie never showed. 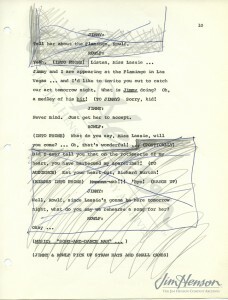 Learn more about Jim’s work on The Jimmy Dean Show. 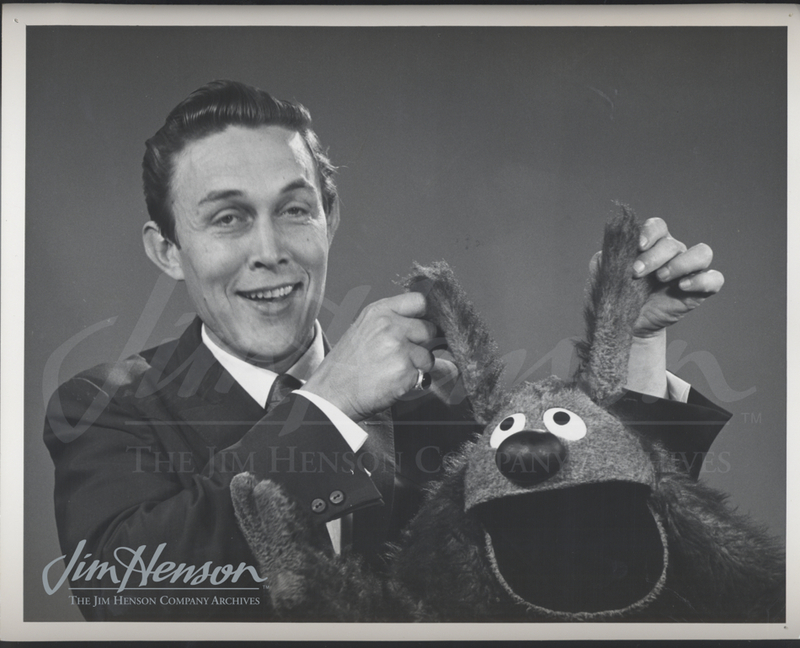 Jimmy Dean and his “Old Hound Dog Buddy” Rowlf, 1960s. 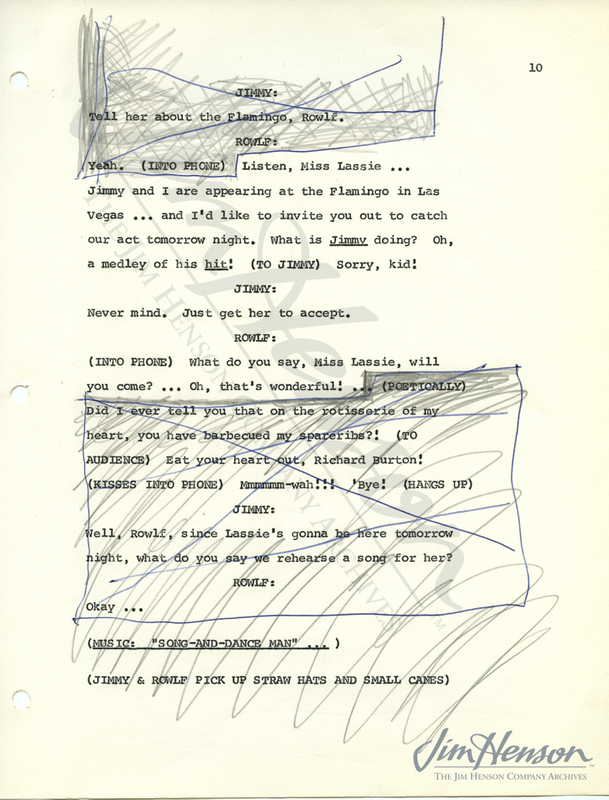 Script pages from the promo for Jimmy Dean’s appearance in Las Vegas with Rowlf in 1964. 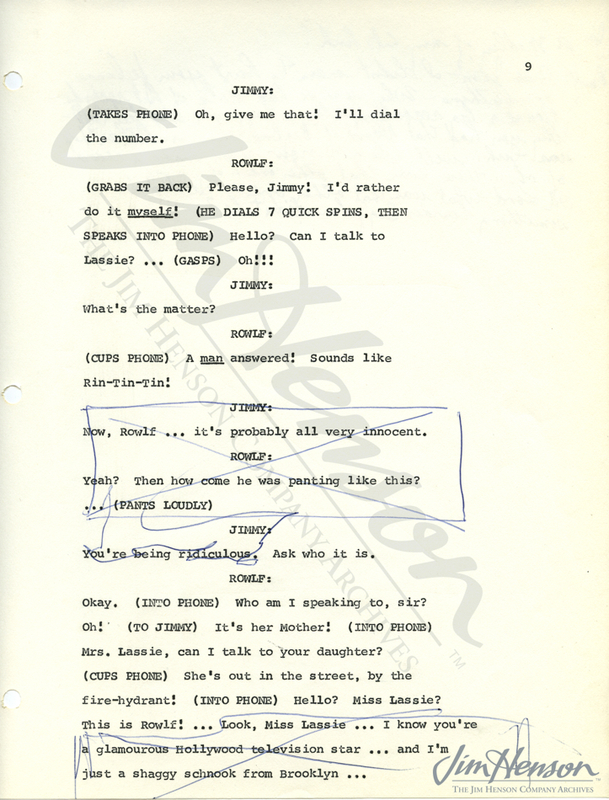 This entry was posted in 07-July '64, 1964, Appearances, Social and tagged Flamingo Hotel, Jimmy Dean, Las Vegas, Rowlf, The Jimmy Dean Show. Bookmark the permalink.